In January 2016, the Dah Diet was voted for the sixth year in a row as Best Diet of the Year by the US specialty magazine. Basically, the DASH diet was designed to reduce high blood pressure but it seems that its benefits go well beyond. Where Does the Dash Diet come from? The acronym DASH stands for Dietary Approaches to Stop Hypertension. It was designed in 1997 to reduce high blood pressure without the use of hypotensive drugs. DASH is a diet program inspired by the diet of vegetarian people, whose blood pressure is lower compared to those who eat in a traditional way. 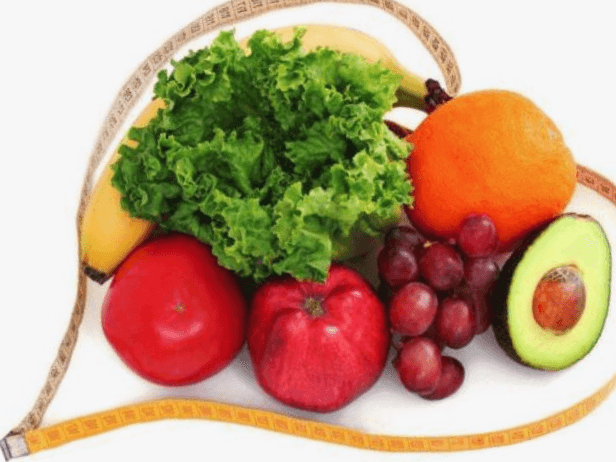 The Dash Diet, What is it? The DASH method combines food Quality principles and quantitative principles (rationing of food portions) and proposes menus resulting from the combination of these two principles. Recommended foods are: fresh and dried fruits and vegetables, seeds and oilseeds, whole grain products and low-fat dairy products. Restricted foods are animal proteins, fats and sweet products. The number of daily or weekly servings recommended for each food category is calculated based on the goal you are pursuing. Indeed, if the DASH diet has a hypotensive effect, it can also be adapted for weight loss because of the contributions. For women who want to reduce their Blood pressure or men aiming at losing weight and reduce their blood pressure: 2,000 kcal/ day. For men who want to reduce their blood pressure: 2,600 kcal. The first effect of the method has been for a while: the prevention of high blood pressure in normotensive people and the reduction of blood pressure in hypertensive patients. To prevent and reduce high blood pressure, the DASH diet pioneers have simply made sure to enrich the diet of potassium, magnesium and fiber, trace elements which hypotensive effects are well known. And of course, it is also about reducing the sodium (salt) intake, the first and basic nutritional recommendation for hypertensive people. Moreover, given its high content in plants (fiber) and its low intake of fats and sugars, the DASH diet is as effective for weight loss as for lowering LDL-cholesterol (“bad cholesterol”) for cardiovascular diseases prevention. The DASH diet program calls for more fresh and dry fruits and vegetables as well as whole grain foods. These foods rich in fiber facilitate weight loss thanks to their low energy intake and their satiating power. Rich in antioxidants, they contribute to the prevention of cardiovascular diseases and some types of cancers. As it imposes a moderation of fat consumption, it allows the reduction of saturated fats which effectively help and boost weight loss. What’s on the Dash Diet Menu? Many fruits, vegetables and whole grains that provide vitamins, minerals and satiating fiber. Eggs, fish, poultry and red meat (from time to time) for protein. Milk, yogurts and cheeses not to miss calcium. Oilseeds for a snack full of energy. Vegetable fats for cooking and seasoning and even a gourmet dessert several times a week. You add to that 2 liters of water a day, regular physical activity and you have got it all. If the DASH diet works as well it is because the researchers worked hard on it. Based on our weight, our age, our basic metabolism, our physical activity, they have accurately determined the ideal combinations of the eight food groups above to meet the needs of the body. We then obtain a custom-made dietary DASH plan and that can be modulated according to the number of kilograms we want to lose or the weight that we want to keep. Designed to fight high blood pressure and regain a dream body by removing excess pounds, the Dash Diet has become the flagship diet with thousands of followers around the world and listed as one of the most popular diets all time. Promoting foods rich in fiber, magnesium and potassium, it reduces the risk of high blood pressure, promotes weight loss and contributes to the balance of the body. However, for it to be effective, regular exercising, limiting alcohol consumption, and watching out meat and fat should be additional measures to embed.